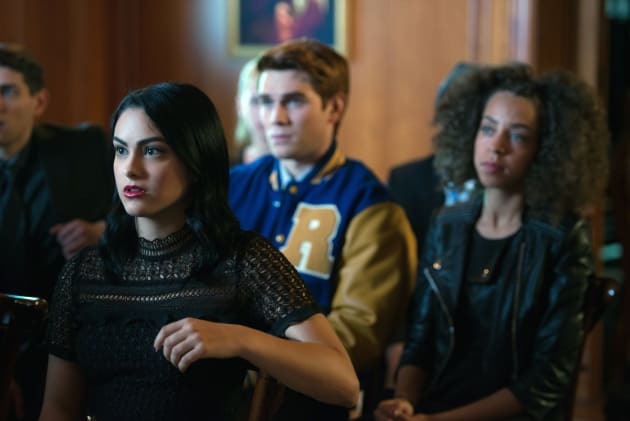 If Veronica's, Archie's and Valerie's expressions are any indicators, something unexpected must've happened at Jason Blossom's funeral. What could it be? Riverdale Season 1 Episode 5: "Chapter Five: Heart of Darkness"
Every town has one, the spooky house that all the kids avoid. Ours was Thornhill, the Blossom family's mansion, with it's very own graveyard. 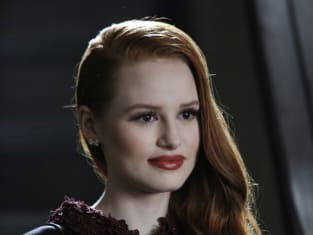 And trapped within its walls, like some Gothic heroine, was Cheryl Blossom, who's still grieving for her beloved brother Jason. Linked in death even as they were in life. Permalink: Linked in death even as they were in life.